Major Nelson has announced the launch of Trove on the Xbox One this week providing you with a voxel-based action MMO, which can be seen in the launch trailer below. Trove is a sandbox massively multiplayer online role-playing game developed and published by Trion Worlds which is already available on PC via Steam and PS4. Thirsting for danger and lusting for loot? Grab your friends, hone your weapons, and set off for adventure in this free-to-play, voxel-based action MMO. 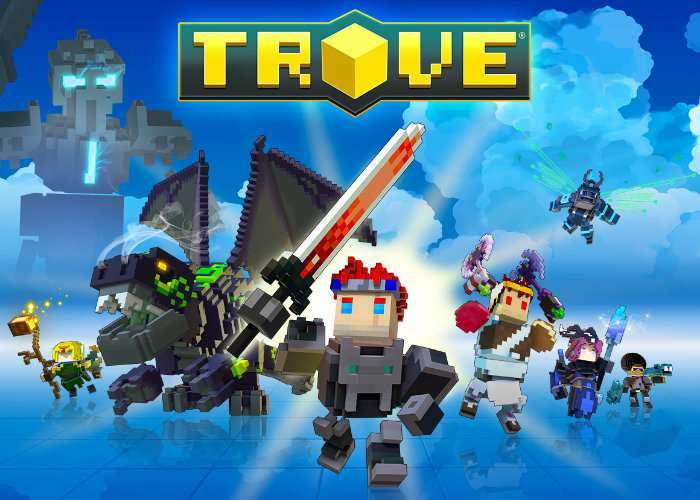 Whether you’re looking to battle deadly monsters and loot epic treasures, ride a dragon through weird and wild realms, build brand new worlds, or just show your own, special style, Trove’s multiverse has something for you. Play as foxy lancers, draconic mages, flower-powered healers, headless knights, and more. Conquer everything from the pirate-infested Treasure Isles to Candoria, home of the Candy Barbarians. Face deadly challenges and collect powerful armor and weapons. Make your mark by building a home away from home… or an entire world! Collect a HUGE range gear made by your fellow players. Grab your friends and set off for adventure in this free-to-play action MMO! Fight epic monsters, build incredible cube worlds, master 14 unique classes, and collect 1000s of pixel-perfect player created items in Trove!